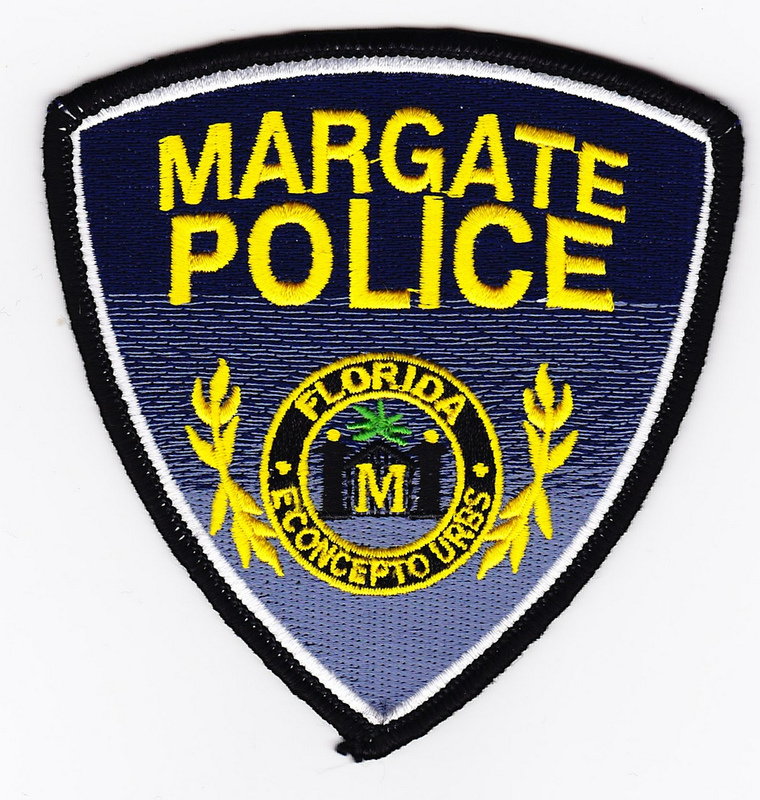 Listed below is the official acceptance letter from the Margate Police Department (in Broward County, Florida), its employees and their immediate family members. 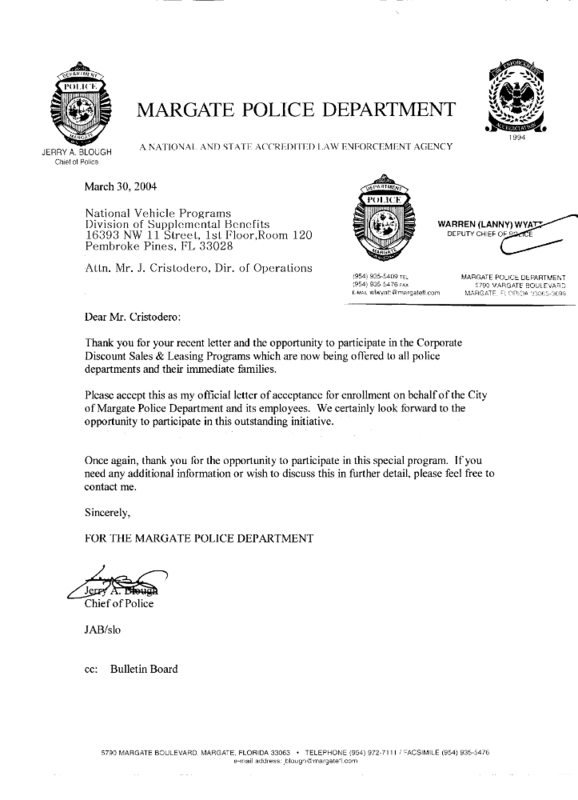 Here is a transcript of the acceptance letter from the Margate Police Department to the National Benefits Programs Supplemental Benefits for Federal, State, County and City Personnel, including active military and veterans. Thank you for your recent letter and the opportunity to participate in the Corporate Discount Sales and Leasing Programs which are now being offered to all police departments and their immediate families. Please accept this as my official acceptance letter of enrollment on behalf of the City of Margate Police Department and its employees. We certainly look forward to the opportunity to participate in this outstanding initiative. Once again, thank you for the opportunity to participate in this special program. If you need any additional information or wish to discuss this in further detail, please feel free to contact me.